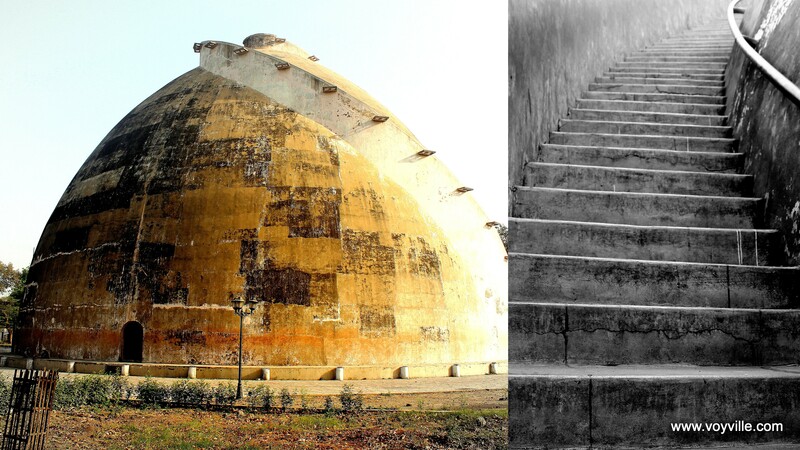 Golghar – A300+ year old monument is must see place in city of Patna, Bihar. Located near Gandhi Maidan, Golghar is a bee hive shaped, 29 meters tall pillar less structure built in 1786 by Captain John Garstin of East India Company to store food grains for British Army after devastating Bengal Famine of 1770s which killed more than 10 million people at then Bengal state of India. Thrilling part of the visit is to climb up the 145 winding stairs to the top of golghar and enjoy the panoramic view of the Ganges river, 360 degree city view of Patna and very refreshing river breeze.